Choosing the best rehab centre can be difficult, there are may factors to weigh up including its treatment programme, cost, ratings, privacy and many more. However we have made its simple for you to follow – here are 12 reasons as to why you should choose Castle Craig Hospital for addiction treatment. 4. Privacy in 50 acres of beautiful countryside. 5. 34 years of expertise and over 10,000 patients treated. 6. Recognised by other experts. 7. Over 90% patient satisfaction rate. 8. Full time consultant psychiatrist and team of specialist doctors. 9. We innovate – we follow new evidence based treatment and seek out improvements. 10. Quick assessment and admission. 11. Recognised by major health insurers. 12. Each patient matters to us. 1. Our treatment is proven to work – 30 years, 10,000 patients and consistently high success rates. No treatment centre develops and grows for 30 years without offering treatment that genuinely works. Over 10,000 patients have passed through our doors since 1988, and a majority of our patients (particularly those who completed treatment) have gone on to achieve long-term, abstinent recovery from their addiction. Our most recent independent research (Christo Study, 2015) shows 73% of our patients achieving long-term abstinence, and 92% showing overall improvements. Our treatment is evidence-based, and our independent outcomes studies provide further evidence that our treatment works for the majority of patients. Castle Craig is extensively resourced. We believe there is nothing lacking in our service that would be of significant benefit to our patients. From full medical management and in-house staff training, to a wide range of complementary therapies – including physical training, equine-assisted therapy, art group and mindfulness meditation. Staff at Castle Craig are trained and equipped to focus on more than just the addiction. Many people who suffer from addiction experience other mental health and emotional conditions such as depression, grief, anxiety or post traumatic stress disorder which also need to be understood, helped and treated. We carry out mental health assessments and personalised care plans, combined with a wide range of interventions such as cognitive behavioural therapy, eye movement desensitisation and reprocessing (EMDR), group therapy, family therapy and grief therapy. As of July 2016, Castle Craig’s treatment cost between 20% and 50% less than our closest competitor treatment centres. Please contact us directly for current rates and packages. Due to high overheads, the cost of residential rehab is unavoidably expensive, but we do what we can to ameliorate the costs and help people to fund treatment. 4. Privacy in 50 acres of beautiful and inspiring countryside. Castle Craig is situated in 50 acres of private woodland, guaranteeing you privacy, inspiration and tranquility as you recover. Our private grounds enable us to offer outdoor fitness activities. Studies into “green therapy” have shown that countryside and fresh outside air, can bring relief to a variety of health and emotional conditions and psychological disorders. 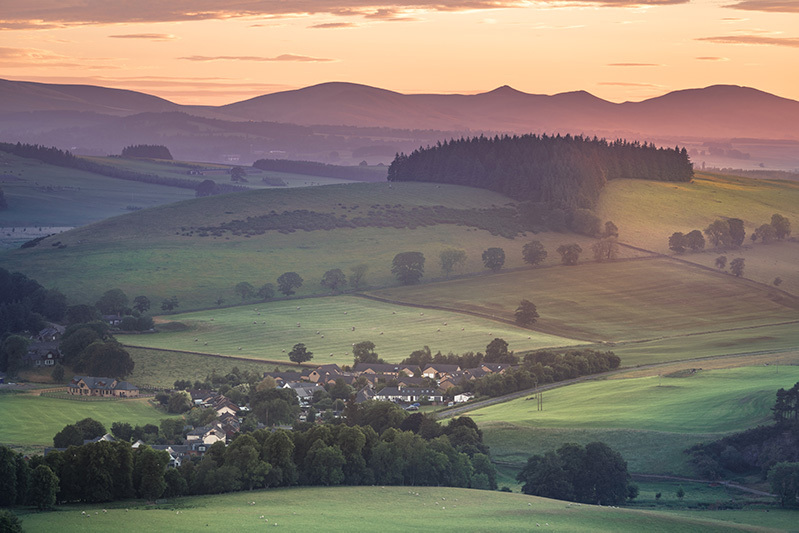 In the beautiful hills and woodlands of the Scottish Borders, patients are blessed with a freedom and detachment from the outside world, yet we are easily accessible being located only 40 minutes from Edinburgh International Airport. Once you arrive through the entrance, and drive up the private country road into the estate, no other houses or roads can be seen ensuring privacy and confidentiality. The air is fresh and clean, wildlife, trees and plants are everywhere and the private water supply comes straight out of the surrounding hills – it is good enough to bottle. See more pictures and videos of Castle Craig here. Castle Craig was founded, and is run by Peter and Dr. Margaret Ann McCann who are two of the UK’s leading experts in the field of addiction treatment. They founded their first treatment centre (Clouds House, Wiltshire) in 1983 and also founded EATA (European Addiction Treatment Agency) in the early 1990s. Castle Craig is represented on the Board of the International Council on Alcohol and Addictions by Peter McCann. Our medical team includes internationally recognised experts in the field of addictions including Dr. Margaret Ann McCann, MB BCh, BAO (Managing Director), Professor Jonathan Chick, MA (Cantab), MPhil, MBChB, DSc, FRCPsych, FRCPE (Medical Director), Dr Maria Kelly, MBChB, DipPsych, MRCPsych (Associate Medical Director), Dr. Florian Kaplick, PhD (Consultant Psychiatrist), Dr. Robert James Craig, MB, ChB, M Phil, FRC Psych (external Consultant Psychiatrist) and Dr. Michael McCann, MD, MA, DIH, MFOM (Board Member). Our therapy team is led by Dr. Glynis Read, PhD. Our team of therapists includes highly skilled specialists both on the staff and as visiting consultants. Castle Craig is regulated by Healthcare Improvement Scotland (formerly the Care Commission). During our latest inspection report in October 2017 we were awarded grades of 6 “excellent” and 5 “very good” for all areas of care and quality that were assessed. Castle Craig was awarded Excellent in the risk management category. During a recent Intertek International ISO 9001 quality standard inspection, the management of the hospital was described as ‘exemplary’. 7. An impressive 98% patient satisfaction rate. Our former patients recommend us. We are proud of our patient satisfaction levels and we publish the results online. In our most recent survey, core elements of our programme such as nursing care, individual counselling, detoxification and group therapy all score 90% or above, overall satisfaction with our treatent experience was 98%. More poignant than satisfaction levels are the messages we received from our former patients, often many years after they’ve left Castle Craig. We publish a selection of them online. 8. We are fully medically managed – Medical Director, Consultant Psychiatrists and a team of doctors and nurses. This is an important fact. You can be assured that your treatment team is led by expert doctors, extensively trained, fully GMC registered, engaged in continuous professional development and who undergo external, independent annual appraisals. They are employed at Castle Craig and attend throughout the week, and are on-call throughout the night. In fact Castle Craig is the UK’s only dedicated addiction hosptital which is not part of the NHS. It meets the American Society of Addiction Medicine highest level of care which is ‘medically managed inpatient detoxification and inpatient treatment’. This is the highest level of medical input, and distinct from a service that is simply under medical supervision or even medical direction. 9. We innovate – we follow new evidence based treatment, and we conduct our own research. In 1988 Castle Craig was the first treatment centre to bring the 12 step facilitation programme to Scotland. In 1999 we were the first treatment centre to introduce accreditation for all therapists and in 2008 we were the first to offer hyperbaric oxygen therapy for all patients in treatment. In these and many other ways, Castle Craig has always been willing to help lead the way in our field of work. We offer rapid assessment and admissions – we are ready to help you as soon as you are ready for help. If you want treatment at Castle Craig there won’t be any waiting list to join or any delays in getting you into treatment. In fact, our admissions department are available to respond to your call in the evenings and at weekends. 11. We are recognised by major insurers. Thanks to our consultant psychiatric care and our ISO accreditation, Castle Craig is recognised by major insurance companies both in the UK and internationally. Contact our admissions secretary for more information. 12. Each patient matters to us – before, during and after treatment. At the core of Castle Craig’s values are compassion, empathy and care. The staff are inspired by and dedicated to their work – many have fought their own illnesses and, once fully recovered, have committed to help others. One of Castle Craig’s symbols is the mustard tree, which is significant because recovery from addiction is said to grow out of a small seed into a great tree, which in turn provides support to others entering recovery. After their time at Castle Craig has finished, patients are invited to return as guests every year for an annual day of reunion, and to attend continuing care meetings in various locations. Castle Craig is developing it’s alumni services in the form of the Friends of Castle Craig, for it’s former patients who want to keep taking more from their experience at Castle Craig. Castle Craig has been renewing lives and helping families affected by addictions since 1988. The staff at Castle Craig are here to answer your questions about treatment and the admissions process. To speak to someone who can help call 0800 0322 880 or email us via our contact form.